The US Dollar (USD) slid down against the Canadian Dollar (CAD) on Thursday, decreasing the price of USDCAD to less than 1.3100 following some key economic releases. The technical bias may turn bearish because of the higher low in the recent upside move. As of this writing, the pair is being traded around 1.3094, a support can be noted near 1.3055, the major horizontal support level ahead of 1.2951, the 38.2% Fib level and then 1.2886, the major horizontal support as demonstrated in the given below chart. 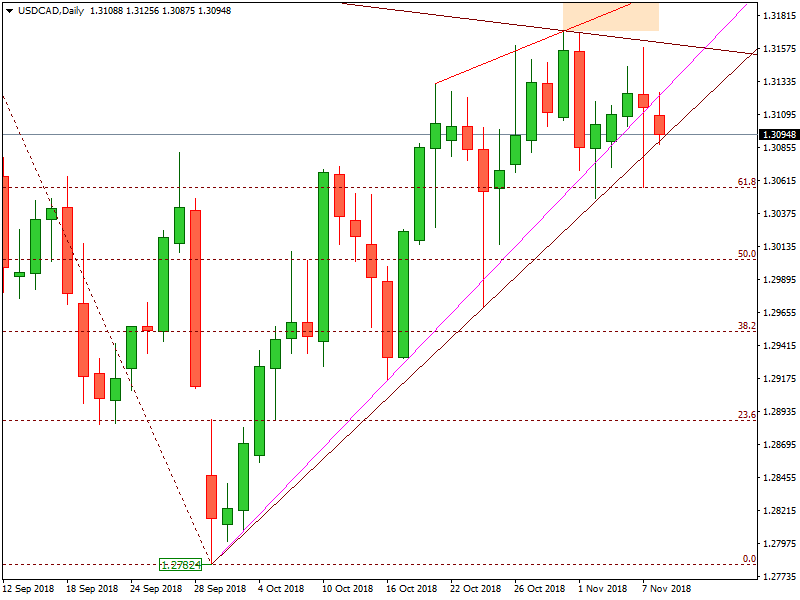 On the upside, a resistance can be noted around 1.3160, the trend line resistance level ahead of 1.3198, another trendline resistance and then 1.3225, the key horizontal resistance as demonstrated in the given above chart. The technical bias shall remain bullish unless 1.3055, the major horizontal support level remains intact. Non-farm payrolls in the United States increased by 201 thousand in August of 2018, as compared to 147 thousand in during the month before and above market expectations of 191 thousand. Employment increased in professional and business services, healthcare, wholesale trade, transportation and warehousing, and mining. Non-Farm Payrolls in the United States averaged 126.88 Thousand from 1939 until 2018, reaching an all-time high of 1115 Thousand in September of 1983 and a record low of -834 Thousand in October of 1949. Generally speaking, increasing payrolls numbers indicates a bullish trend for the US Dollar (USD) and vice vera. Considering the overall price behavior of the pair over the last couple of days, buying the USDCAD around current levels can be a good decision in short to medium term.